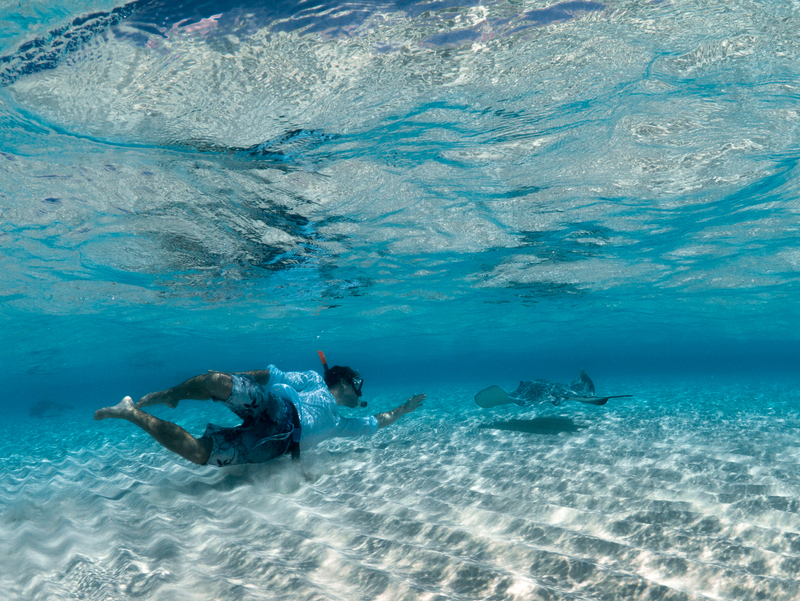 Grand Cayman snorkeling is a truly word-class experience and Seven Mile Beach has it all. The famous Cemetery Reef is just steps from Aqua Bay Club Condos. The reef is long, narrow, and in less than 10 feet of water, but you are sure to see amazing marine life. Elkhorn corals, colorful tropical fish, stingray, and eagle rays frequent here. And being so close to the Turtle Farm, sea turtles visit this spot regularly too. A great place for the children to play and discover. 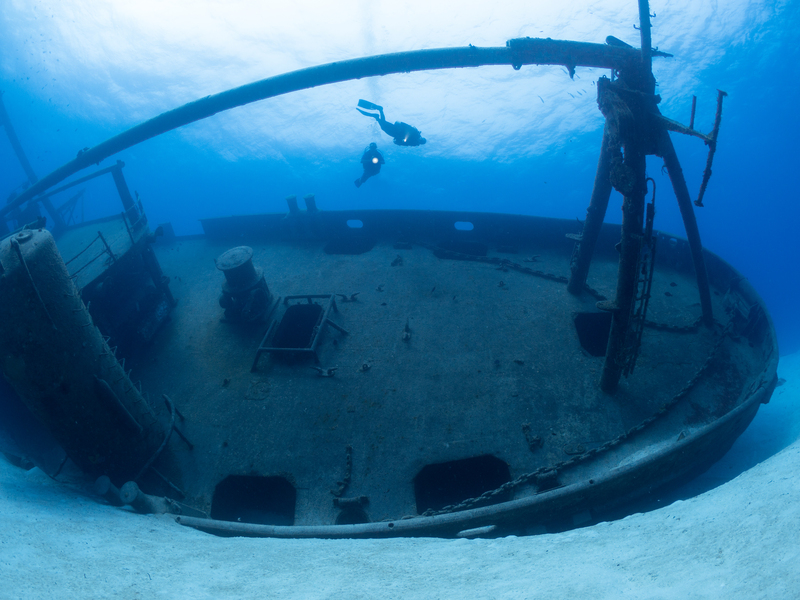 The Wreck of the Cali is a great snorkel site for beginners. It’s less than 50 yards from the shore of Seven Mile Beach. You can easily swim to it in 30 seconds. The wreck lies about 20-30 feet below and is clearly visible from the water’s surface. Schools of tarpon and silversides can be found here. 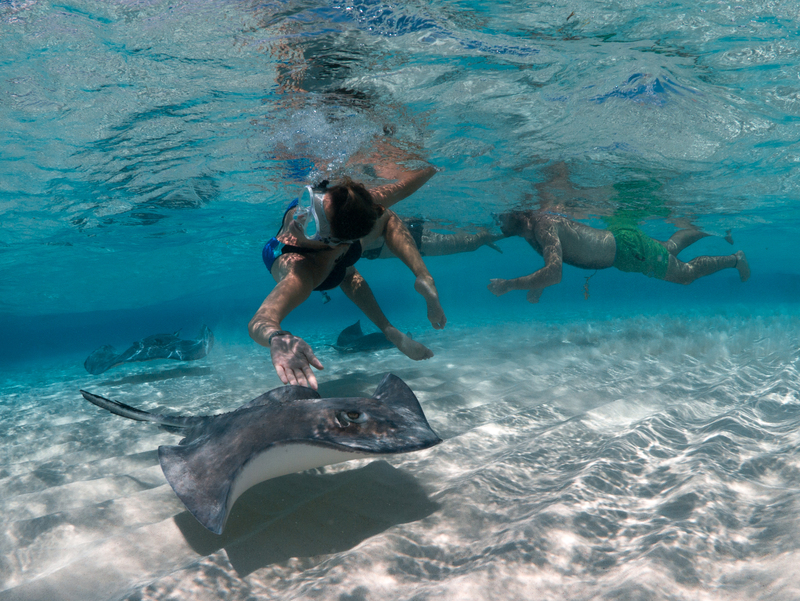 Snorkeling Stingray City is a must. Located in the northwest corner of Grand Cayman, this shallow patch of water is a popular meeting spot for stingrays passing through the barrier reef. Tourists can come face-to-face with these sea creatures. These are a few of the many snorkel sites that can be found just a short walk from your Cayman Island condo!